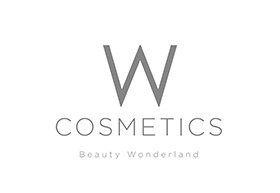 W Cosmetics was created with the idea of giving beauty seekers from all ages, all sexes, and all walks of the life to experience a world of beauty products in one location, a one stop shop which we proudly call Beauty Wonderland. With this goal in mind, W Cosmetics set upon the journey to source the most unique and sought after products and brands from the global beauty industry. This journey led W Cosmetics to the fall in love with the constantly revolving beauty trends of the Japanese and Korean Cosmetics Industry.